You can see a profile now because the bones are all hardening, including the nasal bones. 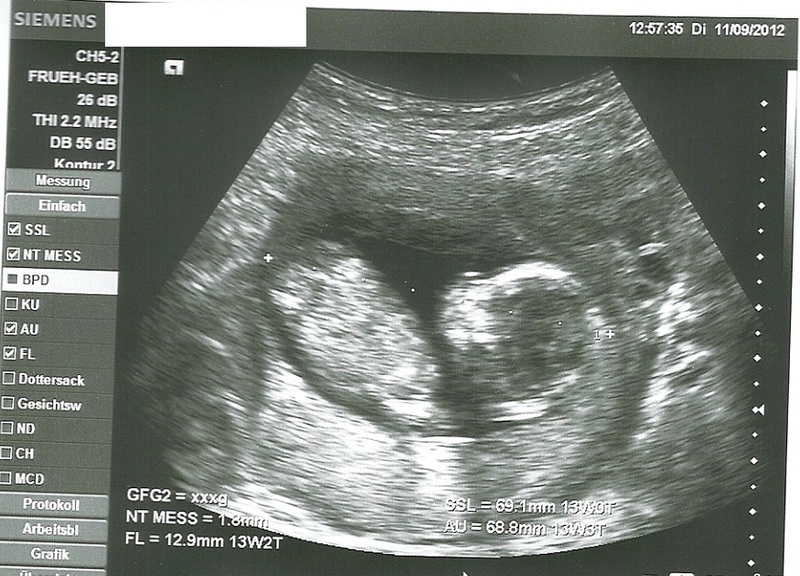 We also found out that the baby is probably a boy!! I have been thinking it was a boy and everyone kept saying girl! We don't mind another boy and didn't really have a preference. 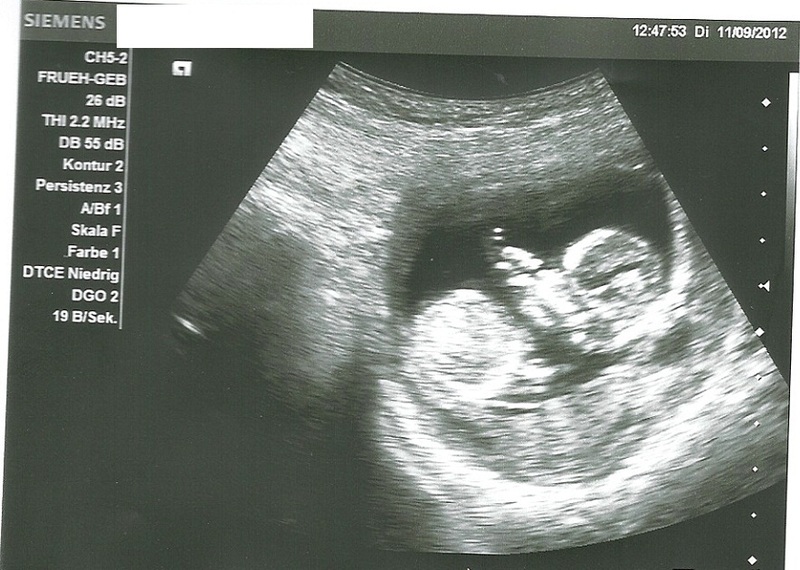 My son was very adamant in the beginning that it be a girl, but we have been telling him for awhile that it might be a boy so when we told him today he was ok with it, I think he was excited just to know what to expect! Of course when I asked him what were we going to name the baby now he said "Crystal" when I told him that that is more of a girl's name he said with attitude: "fine, Fancy Crystal" LOL!! Not sure where he comes up with these, of course he does love crystals! The baby looks perfect as usual and the hematoma appears to be completely gone. Great news, but I know they can come back and or hide so I am not holding my breath! Also just last friday and into the weekend I had a very mild bleeding episode, so It makes me think it may still be there. Sometimes they can hide behind the placenta. I am still having really bad morning sickness, but I took myself off the zofran because it didn't seem to be helping and it was making me severely constipated. I still haven’t gained any weight and have lost a total of 8-10lbs since being pregnant (I didn’t really need to lose any weight). I have also been having some back, hip and knee pain on one side, I'm not sure if it's the sciatica or not.... The joys of being pregnant.